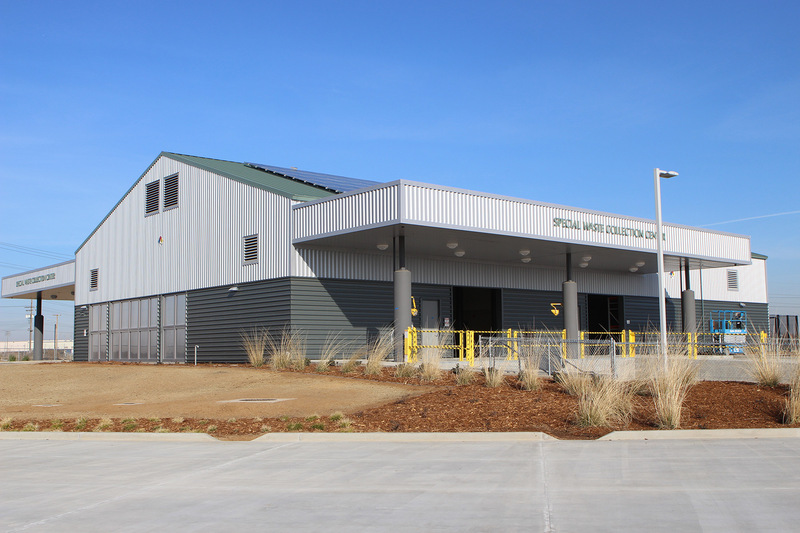 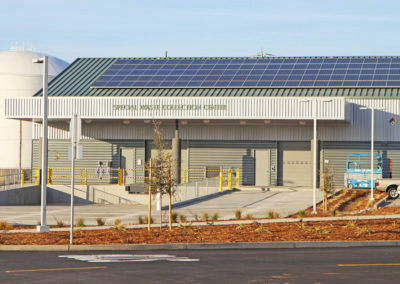 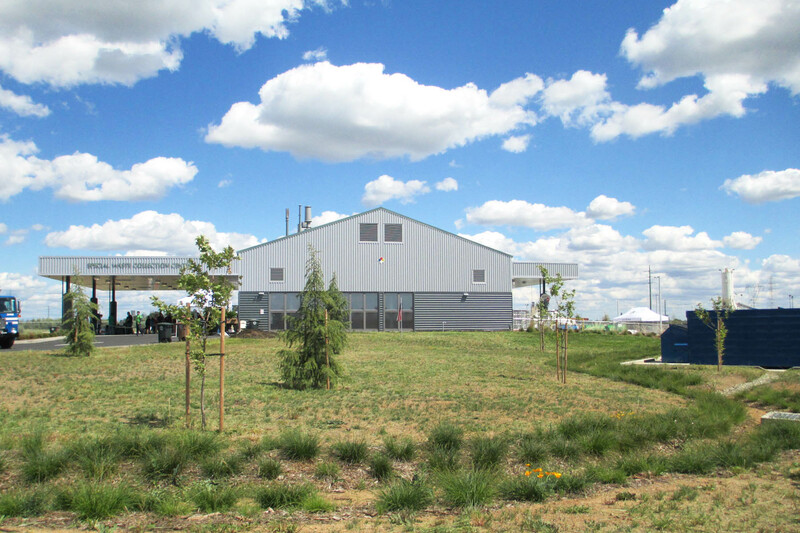 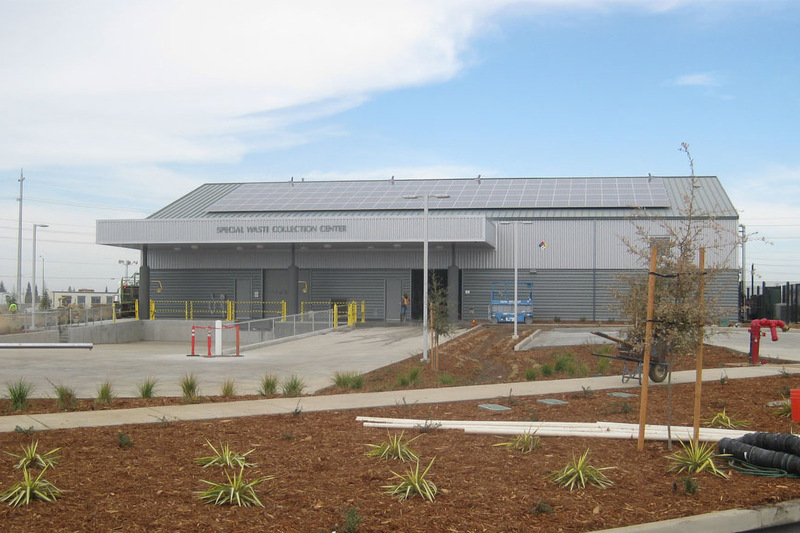 The Elk Grove Special Waste Collection Center consists of an 8,500 sf enclosed main structure with a 3,350 sf covered drive through canopy at the north side and a 1,500 sf covered loading dock canopy at the south side. 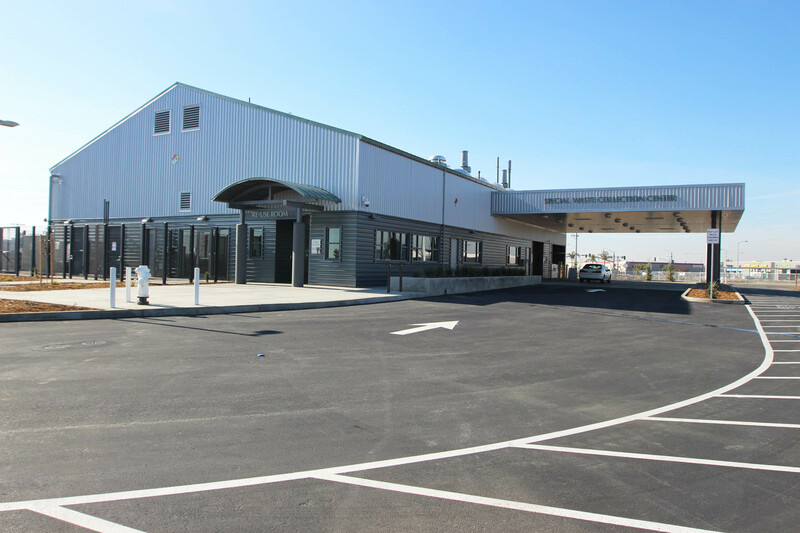 There is also an exterior covered area to the west for oil and antifreeze collection and an exterior covered entry area to the east. 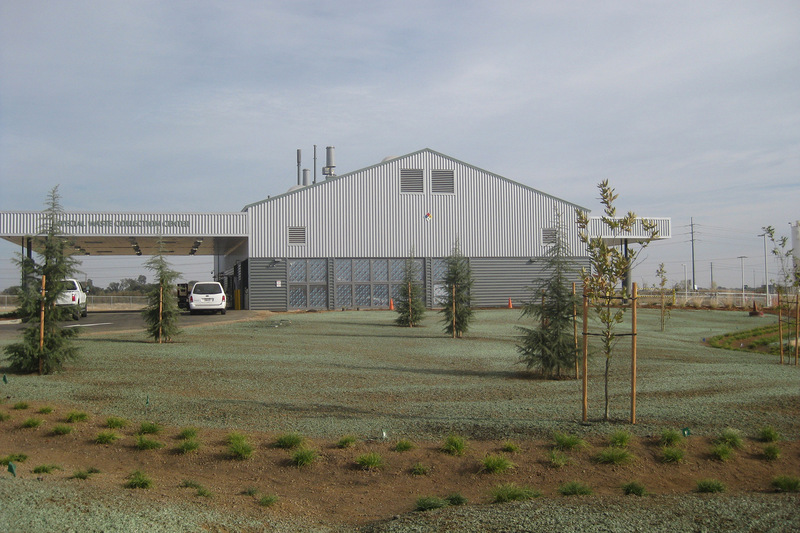 The project site is 3.4 acres and includes permeable paving, bio-swales and storm water retention areas. 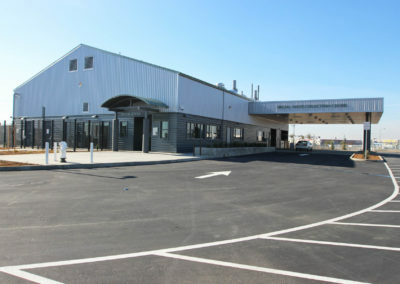 The building includes offices, a Re-Use Store, materials receiving and packing area, a blast resistant, hazardous fluids mixing room, a segregated hazardous materials storage room, a receiving and storage warehouse for new materials, men’s and women’s locker rooms and staff breakroom. The Special Waste Collection Center program provides residents the opportunity to dispose/recycle their residential and business hazardous waste properly. All waste collected is either reused, recycled, processed for energy recovery, or stabilized for proper disposal to achieve zero waste being landfilled. 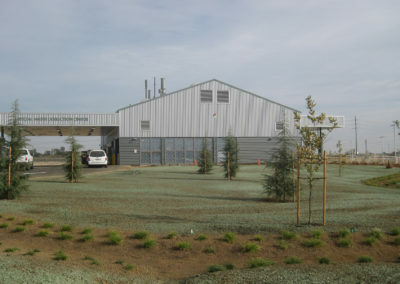 Some of the recyclable material is made available to the public in the Re-Use Store area. 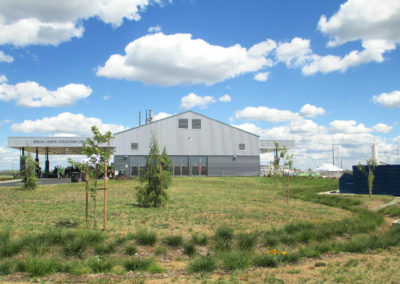 Energy-saving design was an important element of the building design. 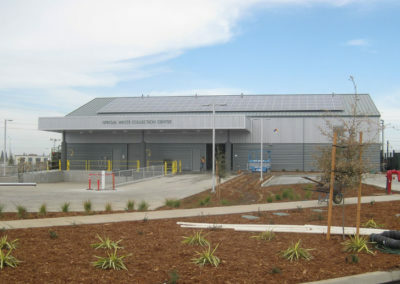 Sustainable materials, energy efficiency and environmentally sensitive design techniques are incorporated into the building design following LEED design standards. 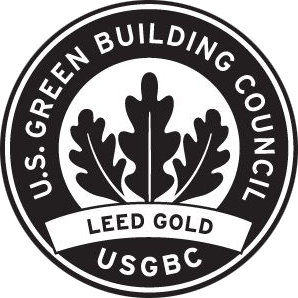 The project is LEED Gold certified, earning a total of 65 points under LEED 2009 (v.3).